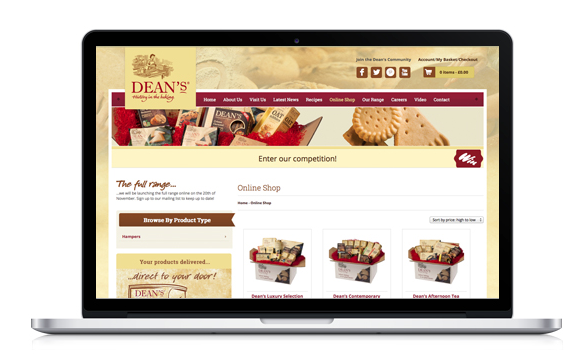 As you may have noticed in various media outlets including The Drum and The Scotsman earlier this year, fatBuzz was enlisted to design and develop a brand-new website and online store for global shortbread brand, Dean's. 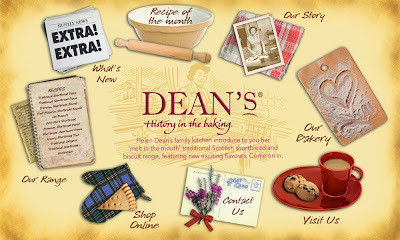 Last week, after less than three months of hard work and dedication, we were delighted to launch a site that is not only modern and visually appealing, but one which also maintains Dean's traditional heritage and identity. 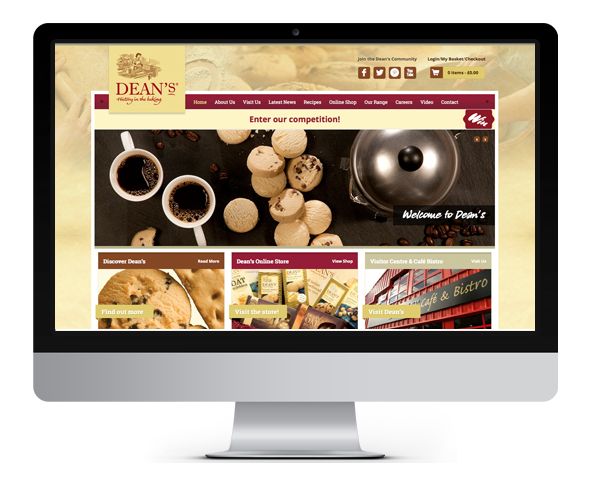 One of our main aims when building the new Dean's site was to simplify the process for the admin staff and remove confusion for the customer. It was also very important that Dean's personnel could log in to one central location that would give them control over all elements of the site; something that we've managed to achieve with great success. From there, we created wireframes of the site, so that we had an idea as to what the customer journey would look like. Having created some moodboards to help express our ideas and vision for the site, we presented a considerable number of different designs, which varied in colour, element size and position - once this was approved, work commenced on building the site. Looking at the site, there are subtle details such as using different graphics for mobile devices compared to the desktop equivalent, but regardless of which device you're using, you won't miss any of the key content. Testing the site then involved dummy purchases, awkwardly sized images, extra-long blog titles, poor networking conditions, and most importantly, feedback from Dean's. From an SEO perspective, we made sure that old links were being permanently redirected to their new site equivalent, which ensures that all the work put into Dean's SEO to date won't be diminished. Now that the site was completed, it was time to let people know about it. 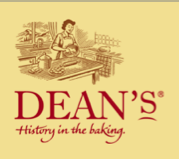 As we're sure most of you will already know, we have worked with Dean's on their social media management for the past two years - so we of course utilised social media. However, rather than physically running the competition on Facebook or Twitter, we decided instead to run it on the website to drive traffic - thus far, we have received almost 3000 entries! Thankfully, all the hours of hard work from both sides has thoroughly paid off, and we're sure you'll agree that the new website looks absolutely fantastic. 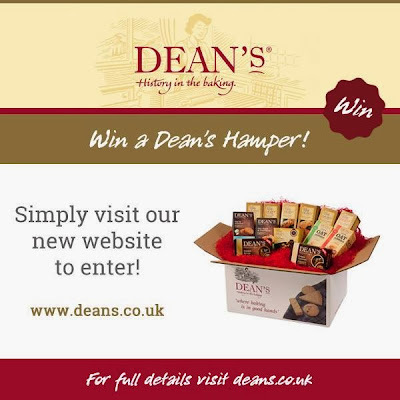 And don't forget to enter the competition to win a delicious Dean's hamper - just in time for Christmas!